Sprout is coming up for her 4th birthday in a few weeks so over the weekend we hosted a small party for her and a couple of her friends who are very close in age to her. We met these families when we attended antenatal classes together just before all our babies were born. Way back then we all lived in the same city and used to meet up a couple of times a month, but over the course of 4 years we have all move further afield and now only manage to catch up a couple of times a year. 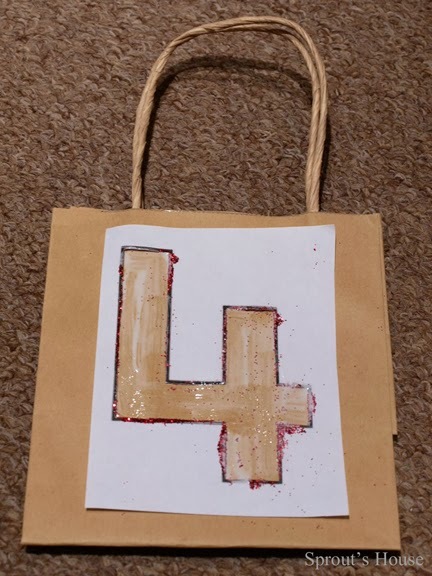 As 4 seems a bit of a milestone in all our small people’s lives, I thought it would be nice for each child to take home a party bag. 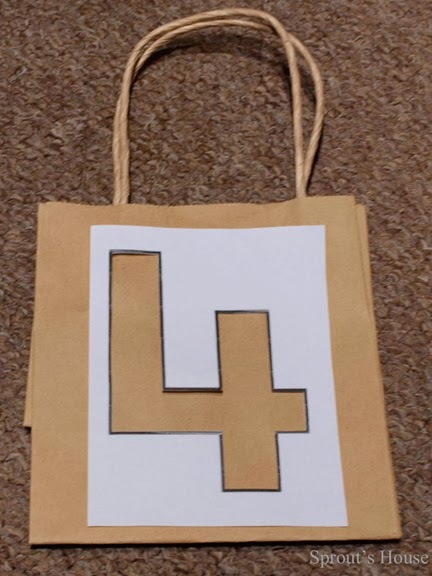 First I purchased some brown gift bags from Hobbycraft. 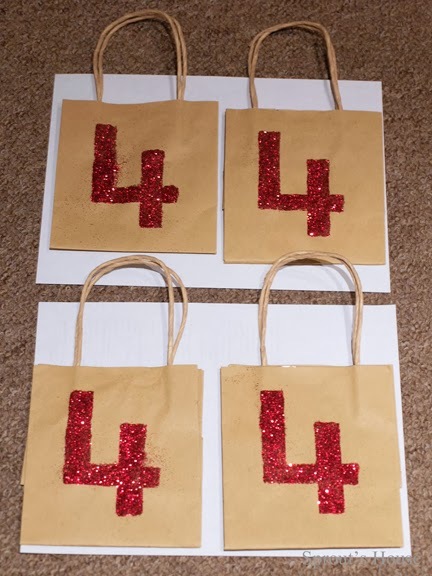 Then I searched Google for a simple image of a number four. I copied it into word and resized so it was the correct size to fit the front of the bags. Once printed, I trimmed off the excess paper and cut out the inside of the 4. 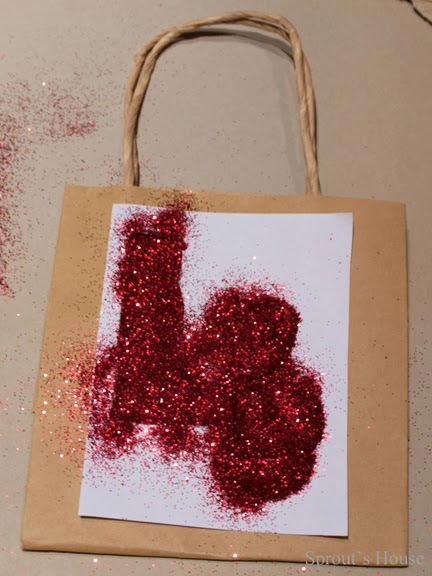 Using blu-tac I stuck the 4 template on the front of each bag, brushed some PVA glue inside the 4 and then sprinkled with red glitter. 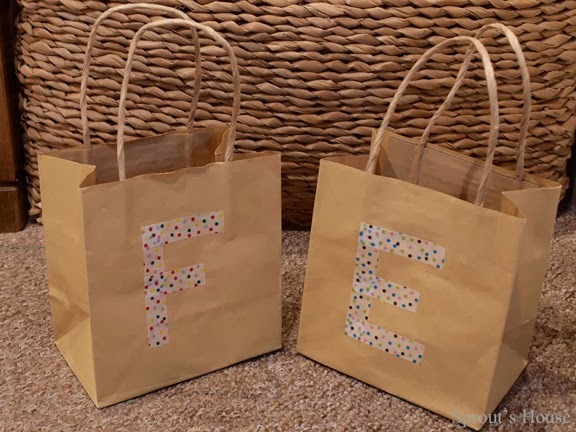 Even quicker were the bags that I conjured up for the younger siblings who were attending the party too. 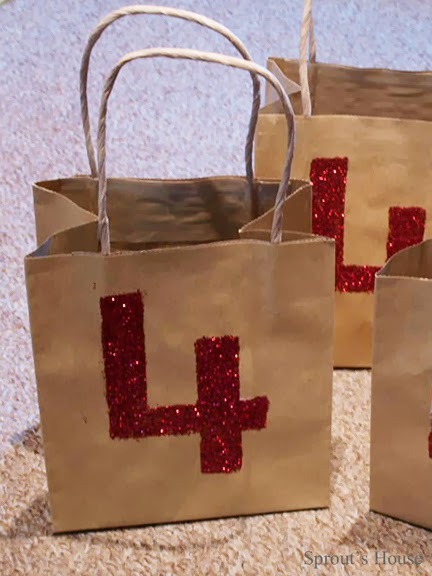 Instead of a glittery number 4, I used washi tape and stuck their initials on the front of each bag. It must have taken 5 minutes max! 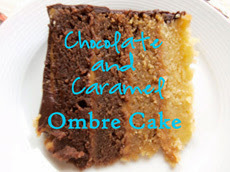 As for the contents, I kept it really simple. 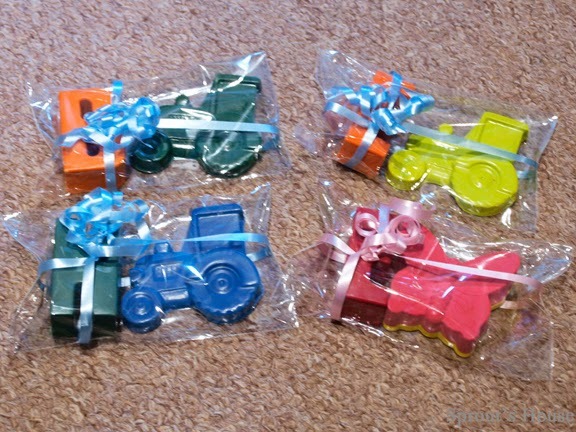 Each bag contained a Kinder egg, a bottle of bubbles and my favourite item - a fabulous set of two homemade crayons from Mummy’s Mini Scribblers! 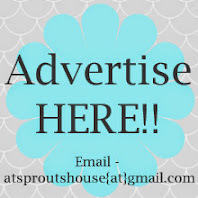 Have a look at her Facebook page for tons of great homemade crayons! 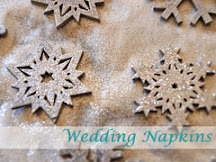 I ordered each small one the first letter of their name, and then butterflies for the girls and tractors for the boys. Each set came beautifully packaged and the customer service was superb from start to finish especially as I left ordering quite late!! 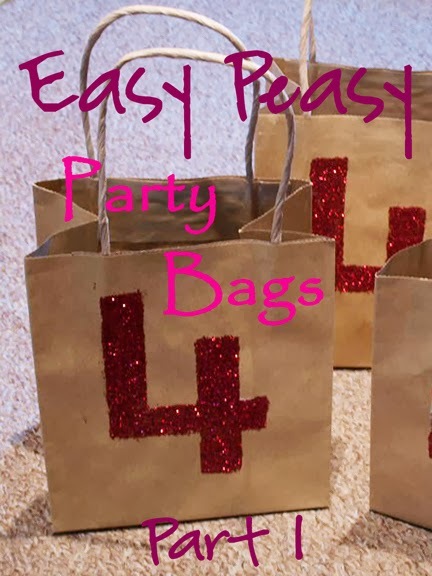 Have you ever designed your own party bags? 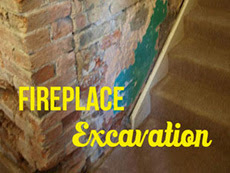 Pop your tips and ideas in the comments section! Check back for adult party bags later in the week!